In just two and a half months from now, 114 BMW R1200 GS Rallyes will be put through some of the most grueling terrain on the planet as the 2018 edition of BMW's GS Trophy heads to Mongolia. 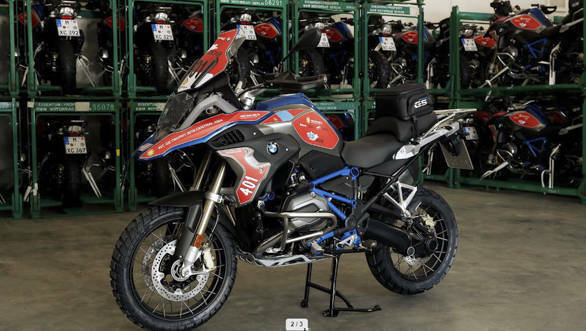 We've been keeping track of how BMW preps these motorcycles for this adventure, and boy do those mechanics in Munich go crazy with the accessories catalogue! Why? 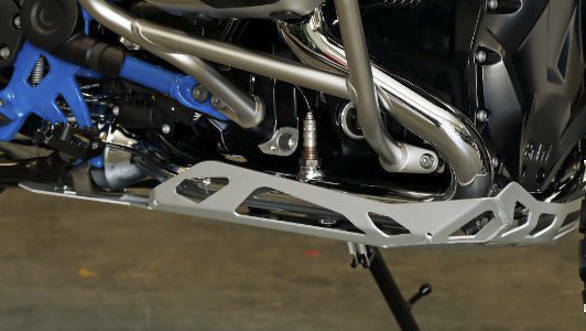 Even though the Rallye offers 20mm more ground clearance that a stock GS, this longer broader and thicker (That's what she said) bash plate not only protects the sump but also wraps itself around the sides for added protection. Why? Because everyone including yourself (don't lie now) who spots a Boxer twin for the first time is thinking the same thing. What's happens to that cylinder head when I crash? Well it can look quite gnarly. 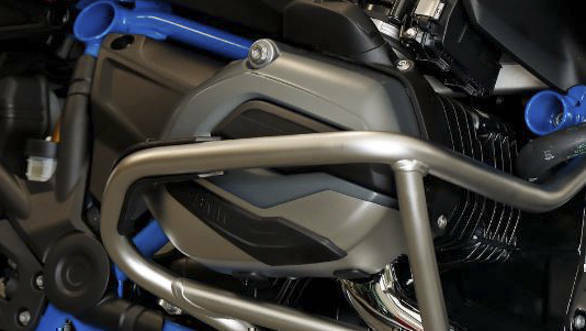 So while the GS has a plastic trim as a stock guard, we're really digging this top-of-the-line Stainless Steel Guard. Why? Because the stock gear pedal is a tad bit too small and makes it harder to use while standing up. 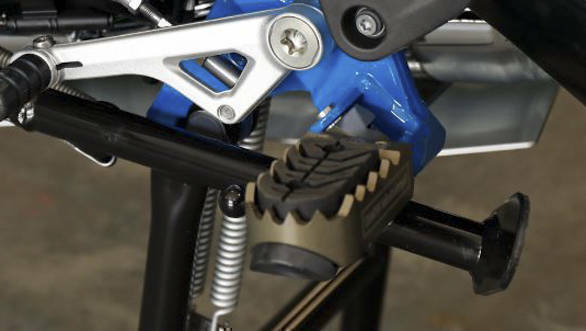 This spring loaded unit solves that problem and makes it more crash resistant as the front part fold up in a crash rather than get all mangled up. Why? Because riding your GS around any Indian city or anywhere you don't have to take your kitchen sink along is just a tad bit daft. 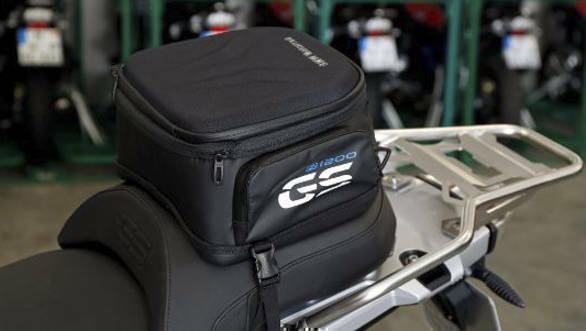 This little waterproof tail bag straps neatly to the rear seat, is inconspicuous and can store 18 litres of your stuff. More than enough for 1-2 days trips we reckon. 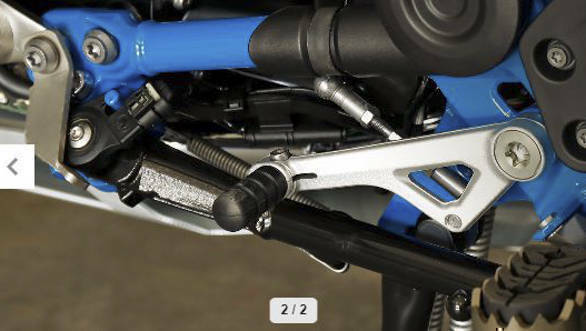 And what's more is it can easily detach for when you're riding that GS through the bush.